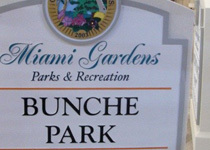 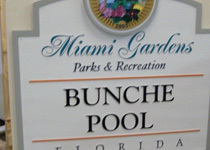 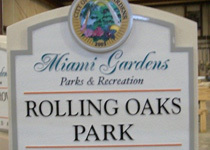 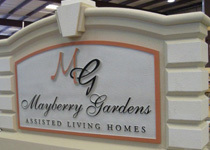 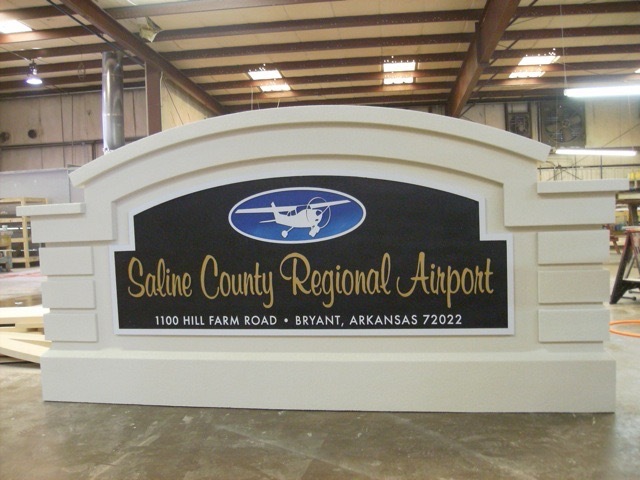 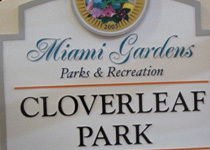 Select any image below in our Online Sign Monument Photo Gallery to see a larger image of the completed project. 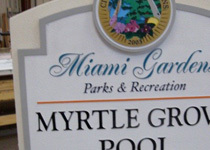 Use the Portfolio Page navigation (above) to scroll through groups of images. 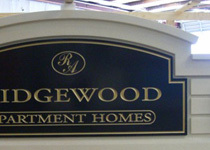 Your are now viewing Portfolio Page 13. 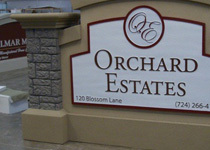 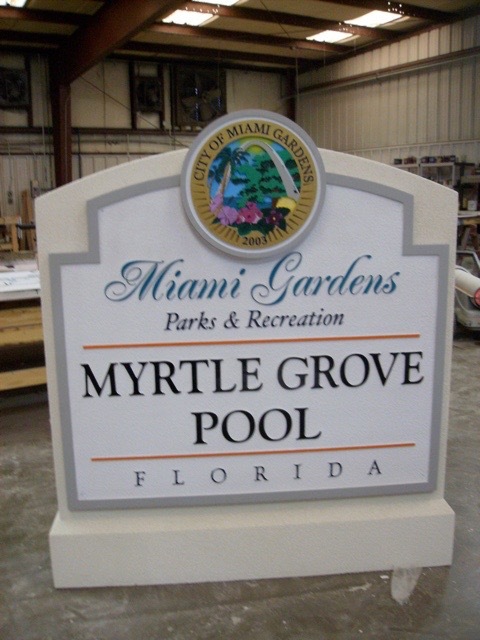 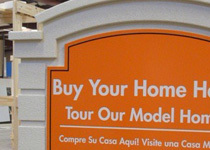 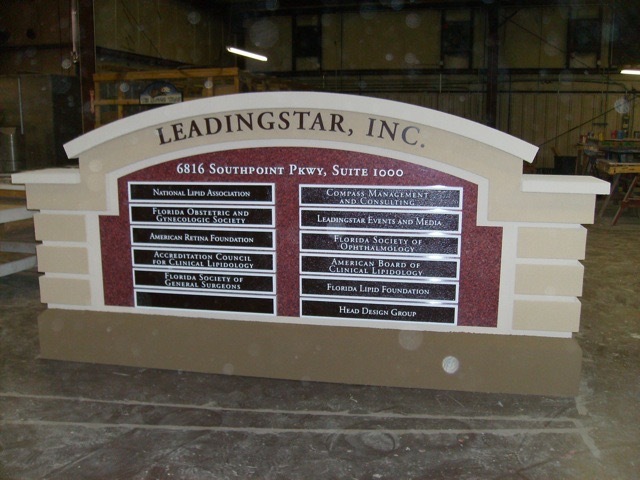 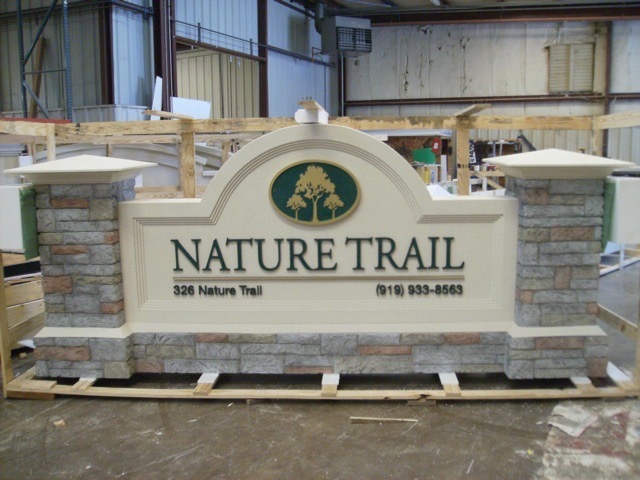 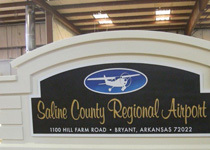 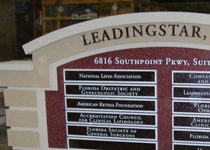 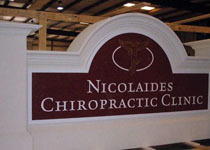 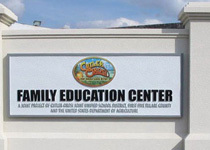 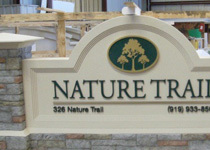 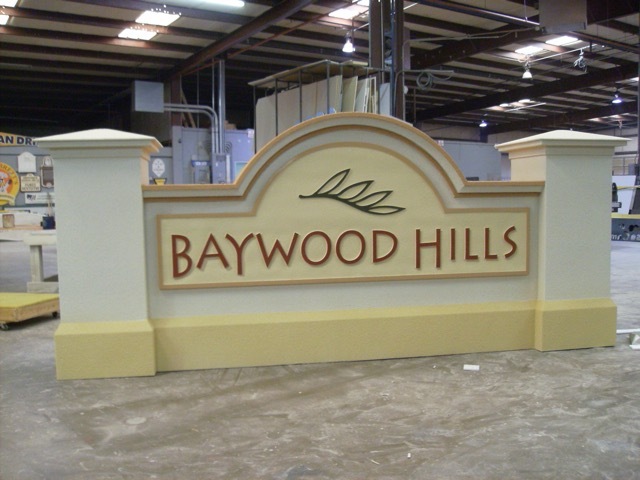 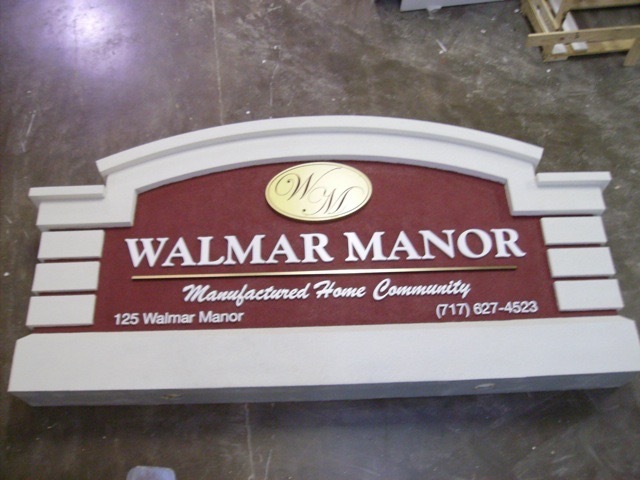 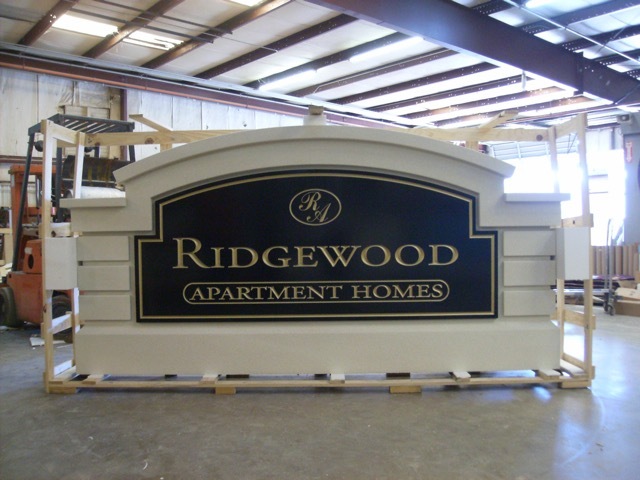 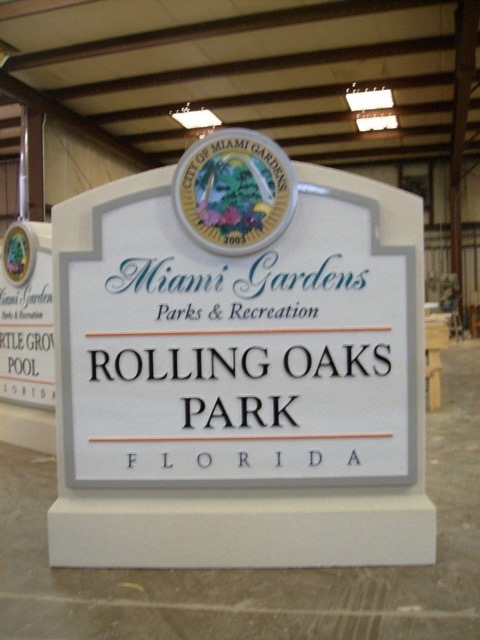 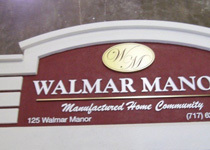 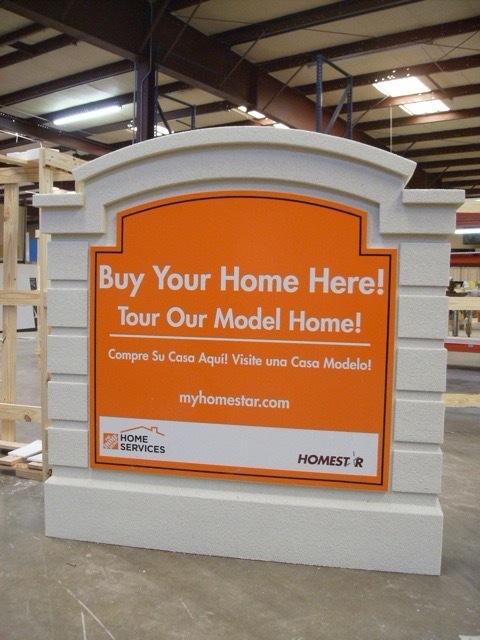 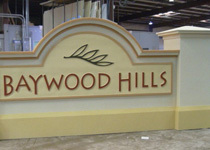 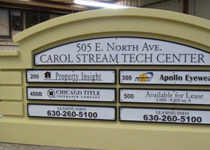 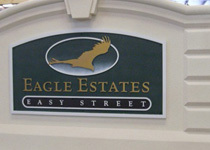 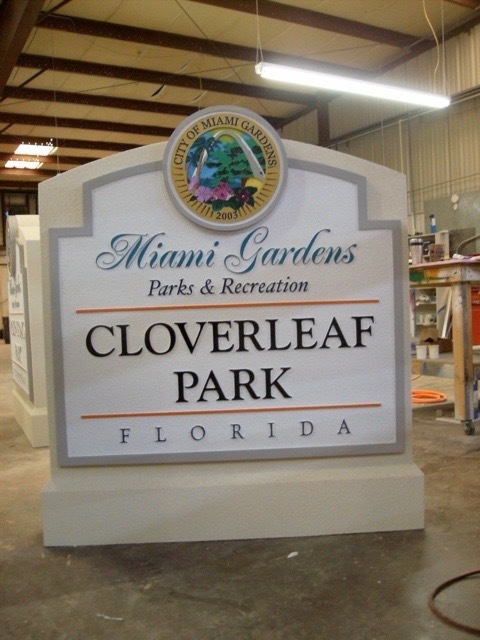 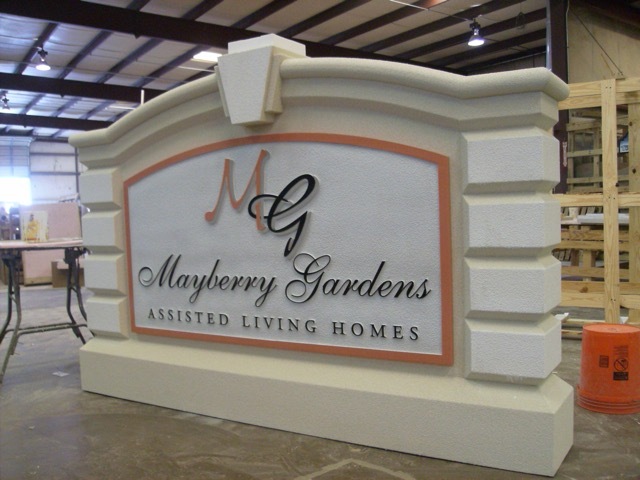 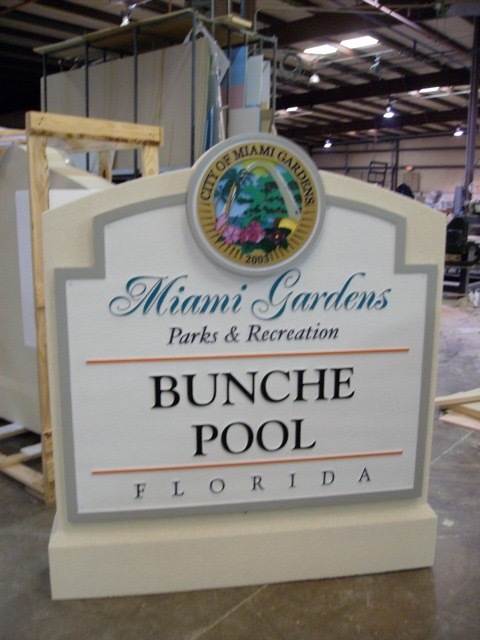 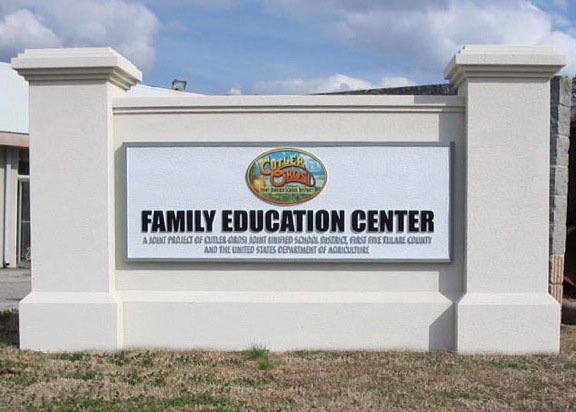 Our Best Sign Monuments are made to order. 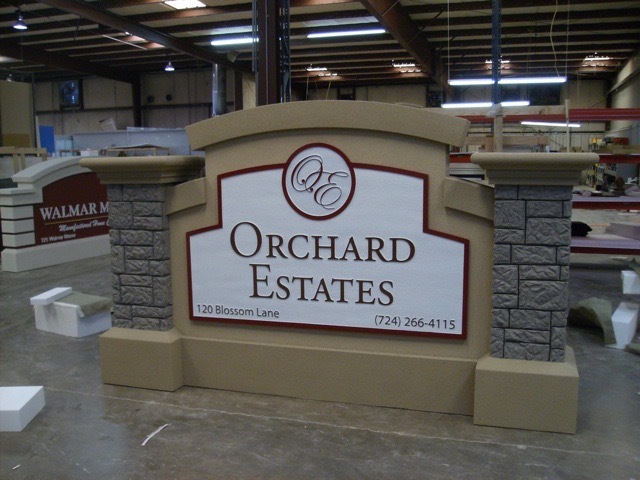 We can match any color scheme by paint manufacturer batch code, and match any existing masonry on your property by digital photograph. 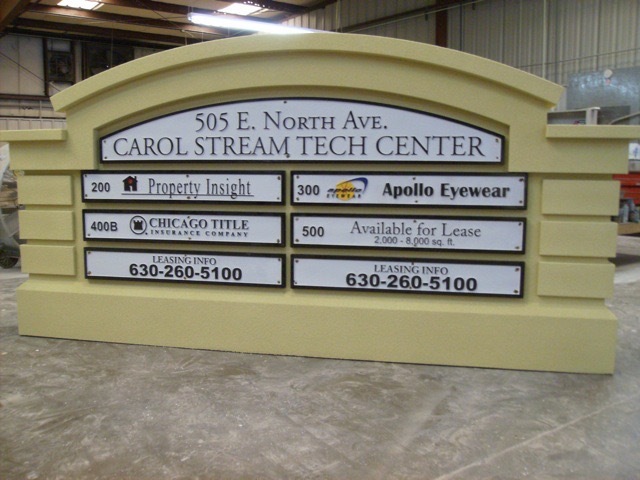 Keep in mind there is no need for a concrete pad for our products. 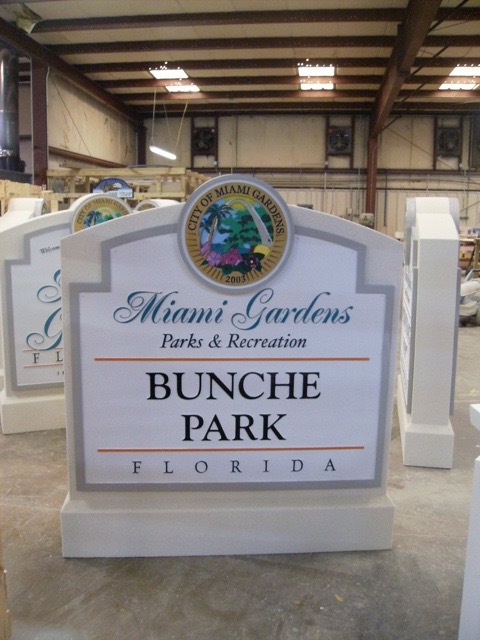 Our monument solutions are designed to match your needs. 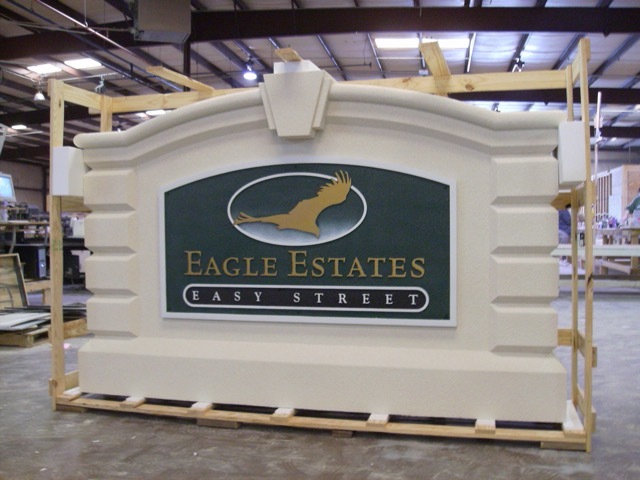 We are more cost-effective than hiring a local contractor for the monument, a local mason (if your monument has faux masonry), a sign shop for the graphics, and an electrician (if your monument has lighting). 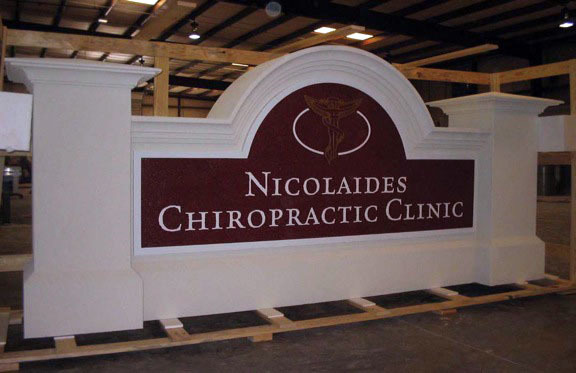 Note any photo gallery examples in the Comments section of the Online Contact Form to get a free consultation.